Snippet of Meryl's deleted song from "Into the Woods"
A promotional video it out for the upcoming DVD/Blu-ray release of Into the Woods on March 24. In it we get a little taste of the original Sondheim song "She'll Be Back" which was cut from the theatrical release. From the bit we hear of Meryl, it sounds great. As expected, Patricia Arquette took home the gold last night in Meryl's category. There's already an abundance of gifs of Meryl's reaction to Arquette's acceptance speech where she trumpets the need for equal pay for women. J Lo seems to be in agreement. You can see that Meryl opted for a jacket ensemble which I happened to think looked rather chic on the red carpet. Love the velvet, Mer. She also did a nice job presenting the "In Memoriam" segment. Couple of notes from the ceremony: Neil Patrick Harris did a fine job, but I really didn't find most of his bits very funny, particularly his "predictions." I was actually kind of bored most of the ceremony, but enjoyed that many of the acceptance speeches went beyond thanking agents, managers and studios. Some may disagree, but I prefer when winners are able to provide some insight into how the award goes beyond their own efforts or achievement, and how film can be a great medium for social awareness. I think Actress, Supporting Actress and Supporting Actor are slam dunks. Picture, Director and Actor and complete toss-ups between the top two for me. I wanted to pick Michael Keaton for the win but I realized I was only doing it so that the payoff of being right would be a little more sweet. If I'm truly choosing who I think is the most likely winner, then the above list is accurate. In honor of Meryl's performance in Into the Woods, I'll leave you with the fun fact that she has just been nominated for her first Nickelodean Kids' Choice Award for "Best Villain" in her role as the Witch. Also, her performance of "Last Midnight" was released on You Tube yesterday. Happy Oscars. 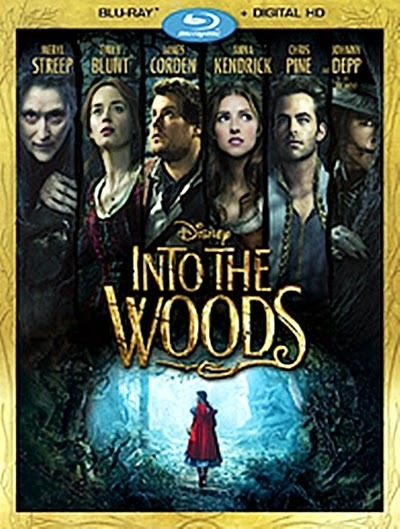 Screen Search is reporting that Into the Woods will be officially released on DVD and Blu-ray on March 24. I've seen the movie a couple times by now, so I'm mostly looking forward to the extra features, particularly Meryl singing the song that was cut from the theatrical release of the picture. Oscars are a week from today! I had never heard of "Profiles with Malone & Mantz" before seeing a link on the Meryl Streep forum, but yesterday they covered miss Meryl. It was great to hear from directors David Frankel (The Devil Wears Prada and Hope Springs) and Rob Marshall (Into the Woods). Frankel makes mention of something I've also assumed, that Meryl would not be interested in doing a sequel. As Frankel puts it "she doesn't like to repeat herself." It gives credence to the idea that Revenge Wears Prada will never happen. I was a bit surprised that Doubt made their top five, but that film is also one of my favorites, so I certainly wasn't disappointed. Makes me want to watch a bunch of Meryl movies...like more than usual. Into the Woods surpassed $125 million at the domestic box office this weekend. Add almost $46 million in foreign receipts and that adds up to a pretty impressive total for a film with a budget of around $50 million. It'll add a little more before its run is complete. In other news, it was announced this week that Meryl will be a present at the Academy Awards on the 22nd. So obviously she's planning on attending. She was also seen backstage at It's Only a Play on Broadway on Tuesday, and is also planning on attending "An Evening of Serious Fun" on March 2, which will be a tribute to the late Paul Newman. I only mention these last two bits because they both remind me of Master Class. The former is a play written by Terrence McNally, and the Newman event is taking place at Lincoln Center, the site of The Juilliard School where Master Class is set. Sigh. 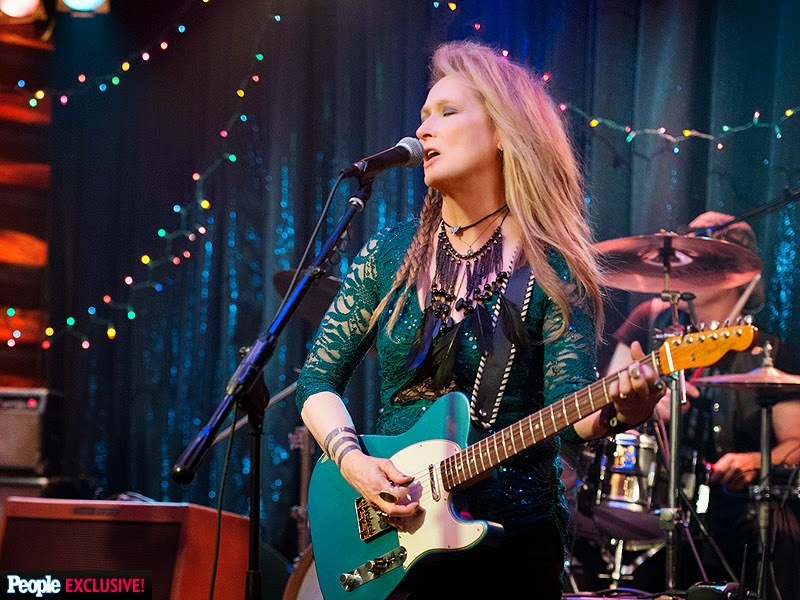 New pic of Meryl in "Ricki and the Flash"
People Magazine has revealed a new photo of Meryl starring in the upcoming film Ricki and the Flash. She looks great, not surprisingly. I'm very much looking forward to seeing how effectively Meryl convinces us of her guitar skills. I've not doubt she'll continue to surprise. The film, written and directed by Academy Award-winners Diablo Cody and Jonathan Demme, respectively, is set for an August 6 release.